What Exactly is a Business Model Canvas? What does the Business Model Canvas do for me? What Makes my Business Model Unique? The Business Model Canvas is a visual tool that you can use to create an integrated view of your entire business with key operational areas, customers, revenue, and costs defined. With this tool, you can make sure you are firing on all fronts and that inter-related operations of your business are set up to work with each other. The content that goes under each operational area will be different for different types of businesses, but in general the operational areas remain the same. You complete the Business Model Canvas based on your particular business or business model. This visual chart so it gives you an opportunity to see where different parts of your business can connect to each other. When complete you’ll be better able to visualize key value differentiators, business model weaknesses, and interconnections within your company. Those connections you uncover can lead you into understanding how to manage your customers & stakeholders, and keep an eye out for what is the biggest value add of your business. What will make you different and wildly successful. Understanding what makes your business model unique is important because it drives alot of how you speak to your customers and develop your ability to serve your customers. Every business and business model is different. And the business model canvas can help explain the differences in more detail. It also takes a comprehensive look at all the components of your business so you are not glossing over areas of your business that you should be paying more attention to. The center of the canvas is all about the “Why” of our business and how we are unique providers of the service or products we’re selling. The whole left side of the business model canvas is providing the information that we need for how we actually produce the item that we sell, whatever that is, whether it’s a physical item, or digital, or an experience. It’s how we produce it. The entire right side of the business model canva is who we sell to and how we make our money. The outward facing part of our business. How we reach our customers. The center of your business and the business model canvas there is the unique value proposition. That’s the exact thing that you do that is unique to you that no other company can do, and why you are valuable as a company. The unique value proposition of your company. Your Value Proposition is the the center point of this whole business model canvas. It’s also the center point of your business and everything else in the Business Model Canvas will relate to it. On the right side you’re going to have everything that relates to your customer side of the business and the revenue side of your business. So the column directly to the right of your value proposition has your customer relationships and your channels. You will also have your customer segments and revenue sources identified in this section. Customer relationships are talking about how you build a relationship with your customers, how you actually create a relationship if it’s blogs, or you have a program that they get invested into, or whatever your company does. It’s how you create and build that relationship with your customers, knowing that you might have more than one customer group. Channels are the various vehicles you use to sell to your customers. Channels are how you reach them. Maybe you sell your product digitally online. Maybe you sell through wholesale, maybe you have a model that’s more physical or brick and mortar. There are many different types of channels through which you reach your customer. The farthest right column is for listing your customer segments. In that column you want to make sure you list off all your different customer groups. The more specific you get with your definition of segments the better your ability to target your delivery, marketing and sales efforts. You may just have one, but we would challenge you to think about how to break that one into at least 2 to 3. You might be selling direct to one customer or customer type. But it’s very possible that you have multiple customer groups that you offer value to. Take for instance a business with multiple customer groups, an example of that would be a platform based model. Let’s imagine the Uber of dog walking. It’s a good example that I use. I’m sure it’s an actual company now. Uber of dog walking, you can imagine what that does. Maybe dog walkers and dog owners that are connected on this app. So both dog walkers and dog owners are their customer segments. And so they would list both of these groups on their Customer Segments box. On top of that maybe they sell advertising space to dog brands, that’s a customer too. It goes on the list. Underneath all that, on the right side is revenue. This is revenue based on the various customer groups, so it makes sense to tie to this side. It includes the broken down revenue based on the various channels that you get customers through and well as your customer segments and what they each might pay. (Like for the Uber of Dog Walking example above, maybe it’s free for dog owners to use the app, but paid for other segments. On the left side we have the other half of your business, which is how you actually provide your solution and your products or services to your customers. Directly to the left of the Value Proposition we’ve got a column that has key activities and key resources. The furthest left column is key partners and below that is your cost structure. Key activities would be what are the key activities that you do to make sure that you are able to provide the solution that you provide. It might be how you do some of that customer relationship management. It might be how you actually produce the product. It might be how you have relationships with other parties to market, produce or scale. And then key resources of course is going to have the key resources that you use to provide your product. Maybe it’s a good production facility. Maybe it’s the tools and technology that you use to provide your solution. Maybe it’s even your dev team. It’s what other resources that you use to provide these solutions, key activities that you do, and the resources that you use. Key partners is the relationships you have with key parties and stakeholders outside of your company that enable you to do all of this, that enable you to achieve the activities that you achieve, to acquire or use the resources that you use. And in the end provide the product that you’re selling to the customer, and the whole experience that they have with your company. At the very bottom left, we have the cost structure box. For this cost structure section you want to make sure you lay out all the actual cost for the component parts of your product or services. This section will incorporate everything that we need to produce the businesses products and services. Examples include technology, resource costs, and overhead. What the business model canvas really helps us do is to show the whole business, the various component parts and stakeholders, and how they connect. You might even draw arrows and lines and things like that to show how these things relate to each other. And it can provide more information to you and your management team when you’re developing your company. Being able to see visually how everything works and fits together, is extremely valuable for creating a great business. Beyond that it is also a good way for other stakeholders to gain insight into what your business does and how it does it. And then of course that linchpin in the middle there is value proposition, which is one of the biggest things you need to know about your company. And what you should do after you filled out your whole business model canvas is reassess if that value proposition that you first thought was your value proposition is in fact your value proposition. It’s possible it will evolve after doing this work. If you haven’t done this exercise for your company we think you should go ahead and do so. When you put together your business model canvas you can use it for many things. One very, very strong caveat that we have is please, please, please do not put your whole filled out business model canvas as a slide in your pitch deck. This does not work. It is a very valuable document to have and to put together, and it may inform how you put together other slides in your deck. But please, do not put the actual business model canvas in as a slide in your deck, because it’s too much information. It’s too complicated for your presentation. So please keep it out. Feel free to use it in other peripheral ways and let it drive the knowledge and content of your pitch deck. But know that you should not put it in your actual presentation. But it’s a really valuable thing for you and your team to build for your company. Hopefully that answers your question for what is a business model canvas, and maybe gives you a little bit more information on how to use it. If you guys have any thoughts on how you use a business model canvas, or what’s valuable about the business model canvas, or maybe you don’t like the business model canvas I’d love to hear about in the comments below. Join us again next week.  We do new pitch hacks every single week. If you have an idea for an upcoming we have link down below as well. So hopefully I’ll see you guys here again soon. Give us a little thumbs up or subscribe and you’ll find out about the next pitch hack that we have.